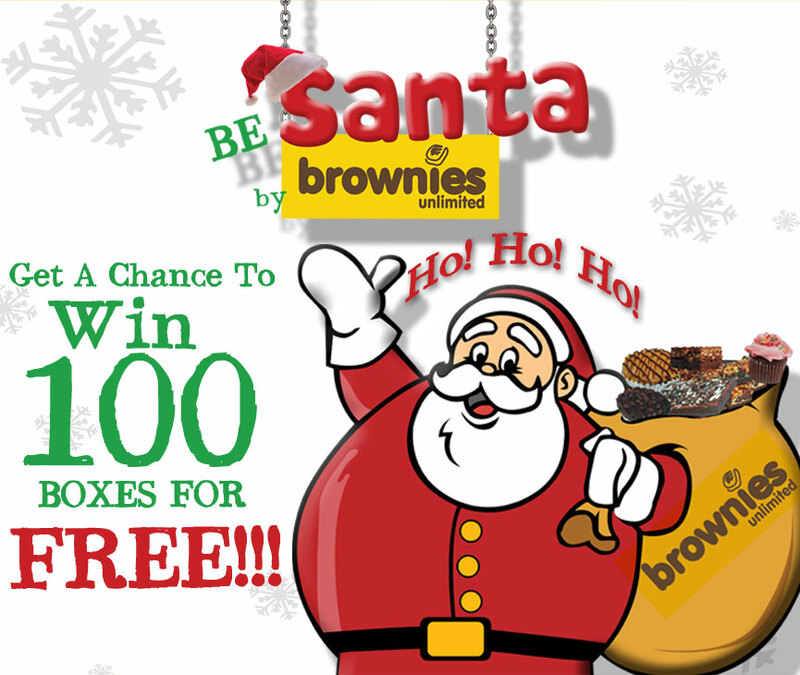 Yesterday Honey and I went to Glorietta for a quick lunch date and we happen to pass by a Brownies Unlimited stall. I admit I was impelled to try it just because of the raffle. 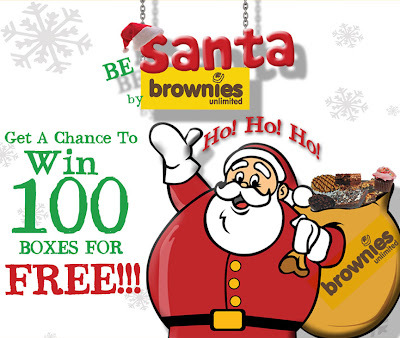 I mean, who wouldn't want 100 Boxes of Brownies for Christmas, right? Photo taken from their official site. And then I took the first bite. It was sooooooo yummy I found myself savoring the chocolate-y goodness with eyes closed. Hahahaha. No, really, what I liked about it is that it's moist and sweet just enough to keep you craving another piece. I actually wanted to consume the 6-pak in one sitting but I'm glad I didn't because when I ate another one today, I knew I had to blog about it.